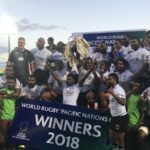 Fiji were crowned Pacific Nations Cup winners after beating Georgia 37-15 in Suva on Saturday. Sonatane Takulua kicked 13 points as Tonga clinched a 28-18 win over Samoa in Suva on Saturday. Fiji overcame three yellow cards to record a 24-22 victory over Samoa in the Pacific Nations Cup in Suva on Saturday. 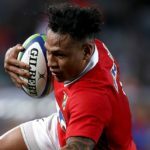 Fullback Ioseb Matiashvilli scored all of Georgia’s points as they claimed a 16-15 victory over Tonga in the Pacific Nations Cup in Fiji on Saturday.